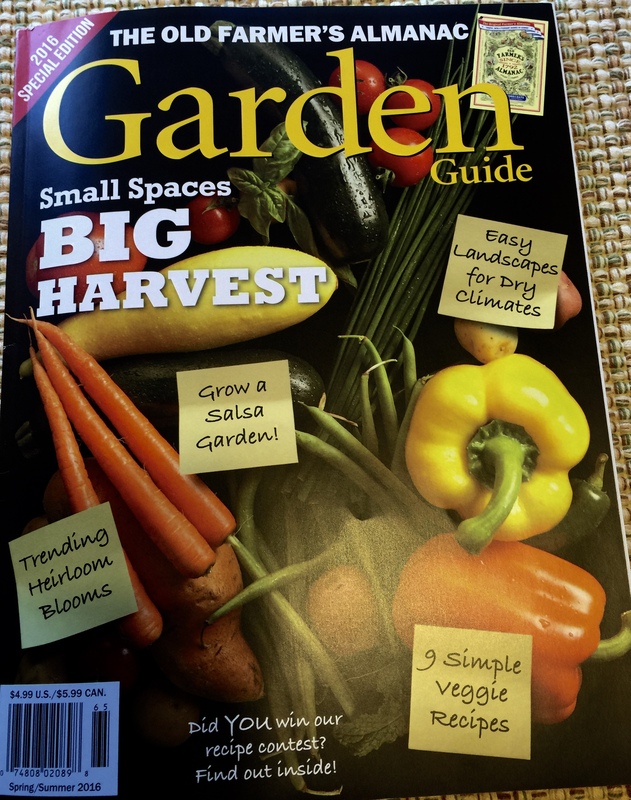 The 2016 Old Farmer’s Almanac Garden Guide is out! 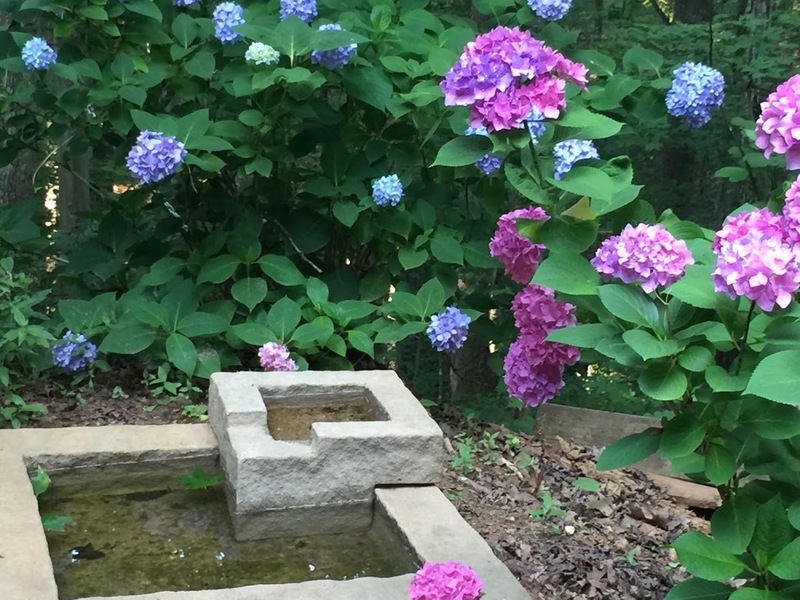 There are articles on making the most of a small garden space, and another on how to landscape when water is scarce. 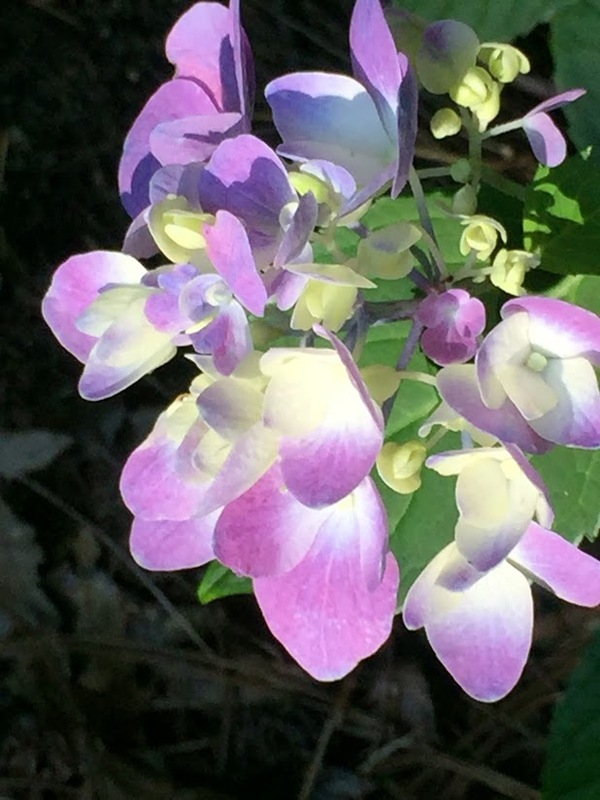 I wrote two of this year’s stories: one on heirloom flowers, and one on garden trends. 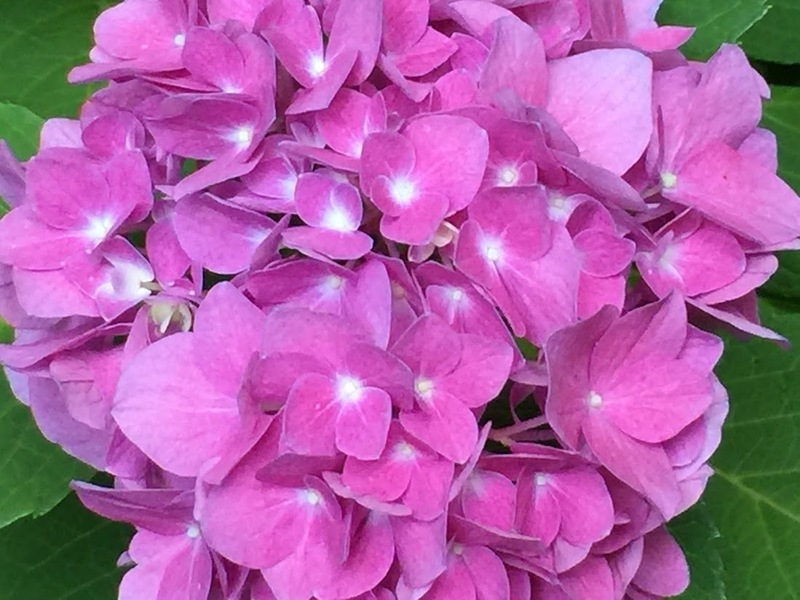 One trend won’t surprise most gardeners, because it’s ongoing. Our bees are in trouble. Their populations have been declining for years because of disease, parasitic mites, overuse of pesticides, and other issues. 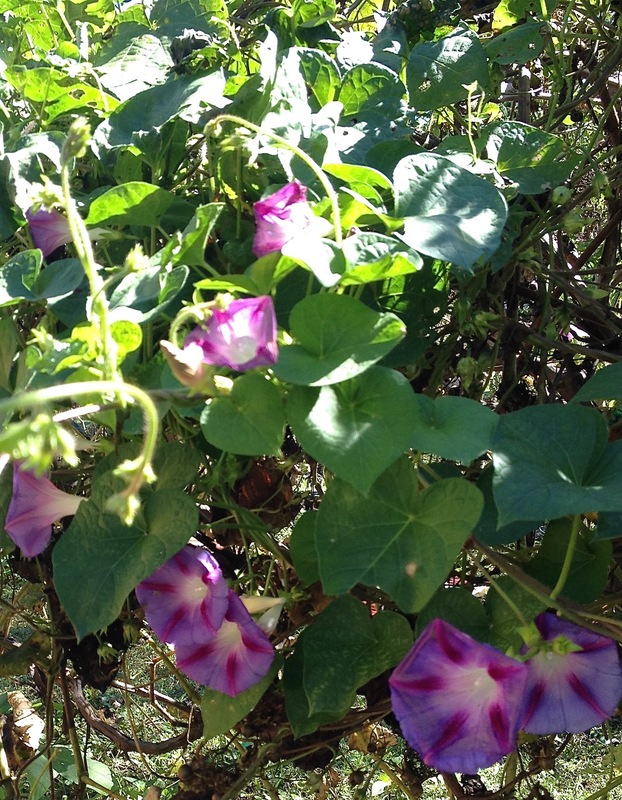 Now gardeners are actively trying to help them, says Jeanine Standard, a spokesperson for Proven Winners. 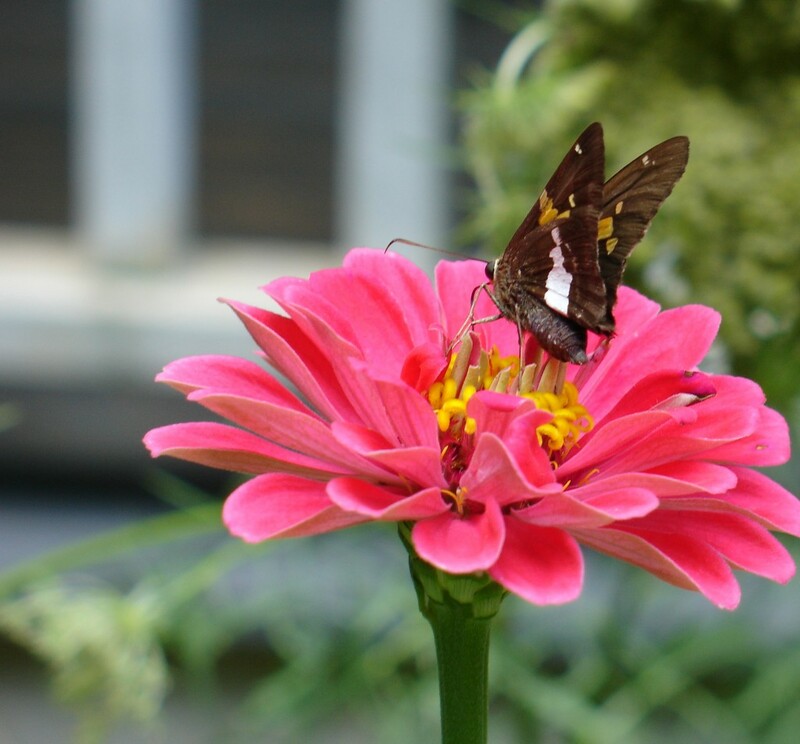 We’re using fewer chemicals in our yards and planting more flowers, shrubs, and other plants they can use for food and shelter. 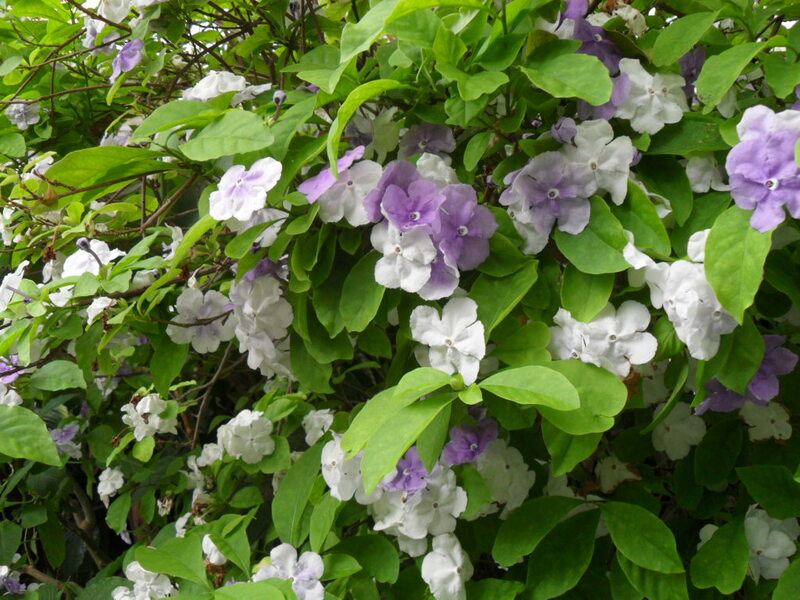 Another trend: gardeners want to replace the impatiens they’ve been growing in shady spots, since the plants are still dying from powdery mildew. 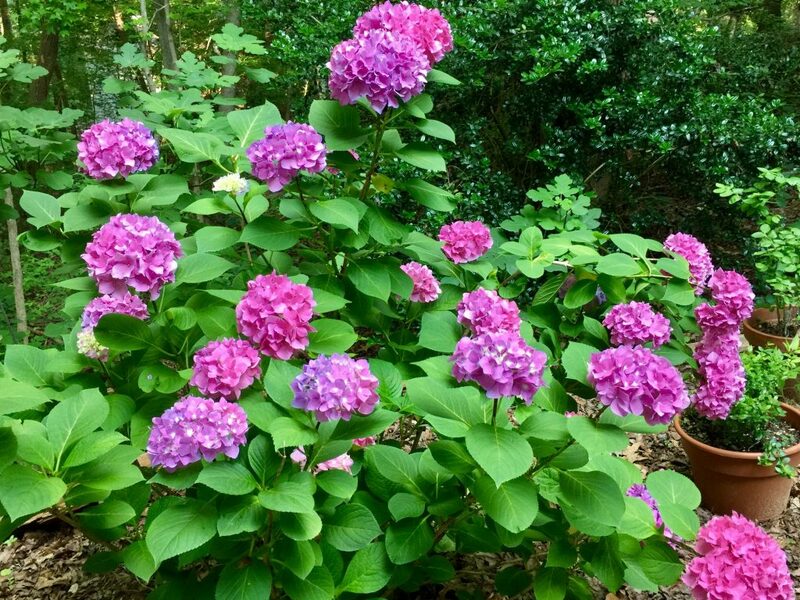 Standard recommends using caladiums and Browallias, although she says she thinks impatiens will make a comeback, since developers are working on their genetics. As for trendy edibles, look for ‘Suntava Full Season Purple’ corn, available from W. Atlee Burpee & Co. It’s a stunning variety that’s purple from cob to husk to stalk. Burpee’s is also offering ‘Meatball,’ an eggplant that makes a great meat substitute in your recipes. I’ve tried them, and they’re delicious. The fruits are heavy, firm and sweet tasting. Read about more new varieties in the issue–it’s on newsstands now. It’s gray and overcast here today, although the recent warm temperatures are giving me spring fever. In the Atlanta area, we could hit 75 degrees in February, plunge back to freezing a week later, and have daffodils in bloom a few days after that. 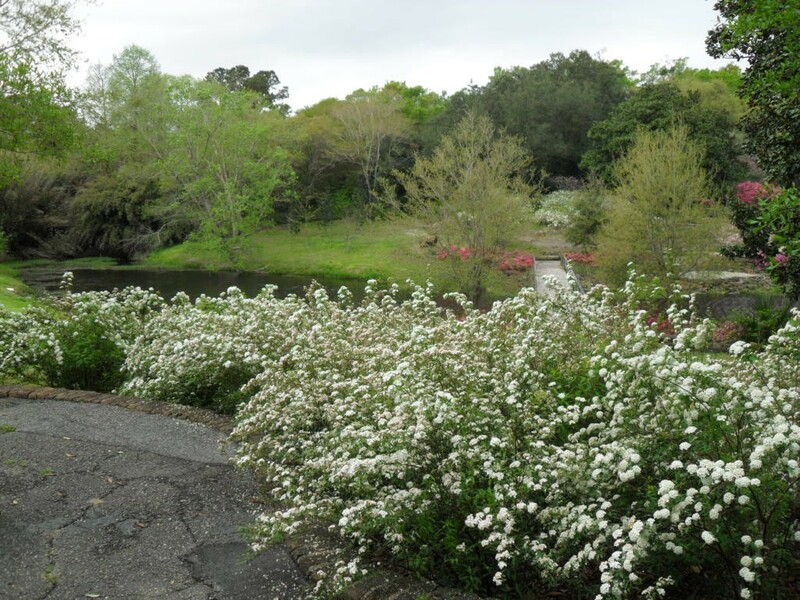 Since I’m getting tired of the bare landscape, I dug out some pictures from last April, when I visited Alabama’s Bellingrath Gardens and Home. 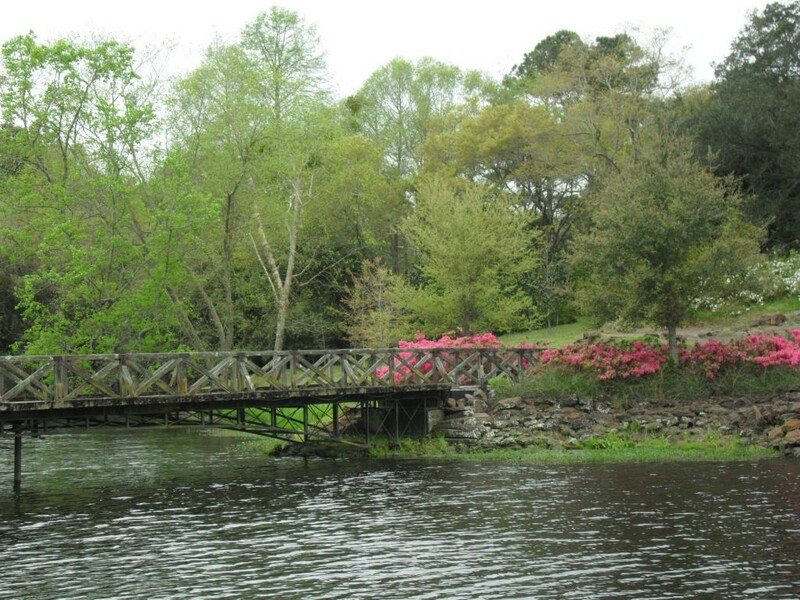 It was cloudy then, too, but azaleas and lots of other plants were starting to blossom. 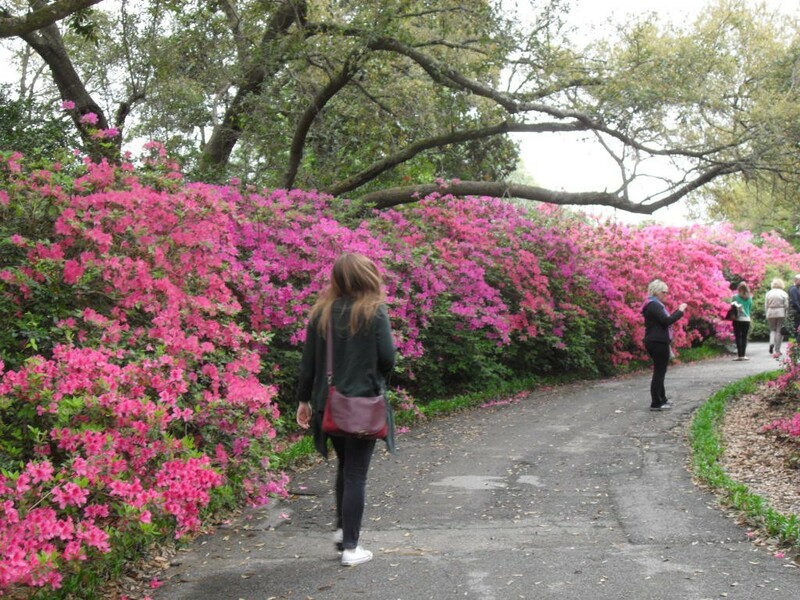 Some azaleas had already hit their peak. Their fallen petals look like confetti on the path. 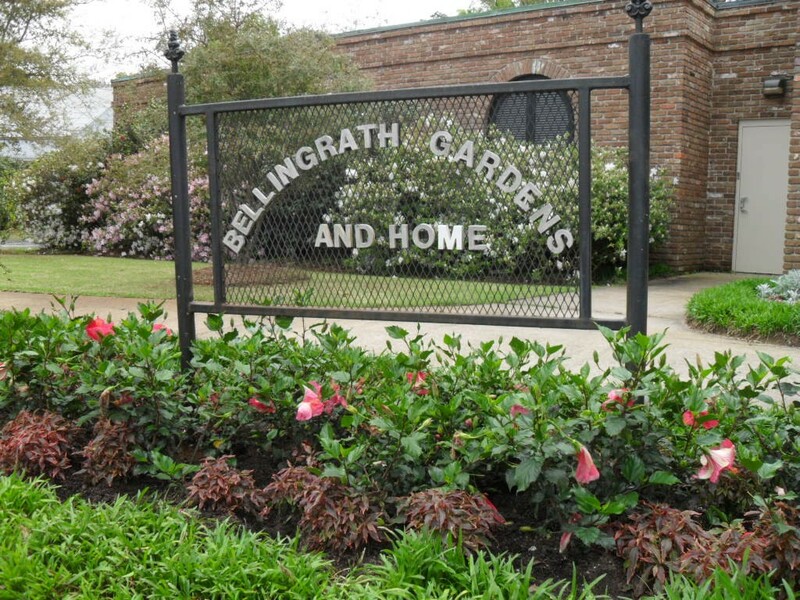 Bellingrath is a 65-acre Southern estate that opened to the public in 1932. 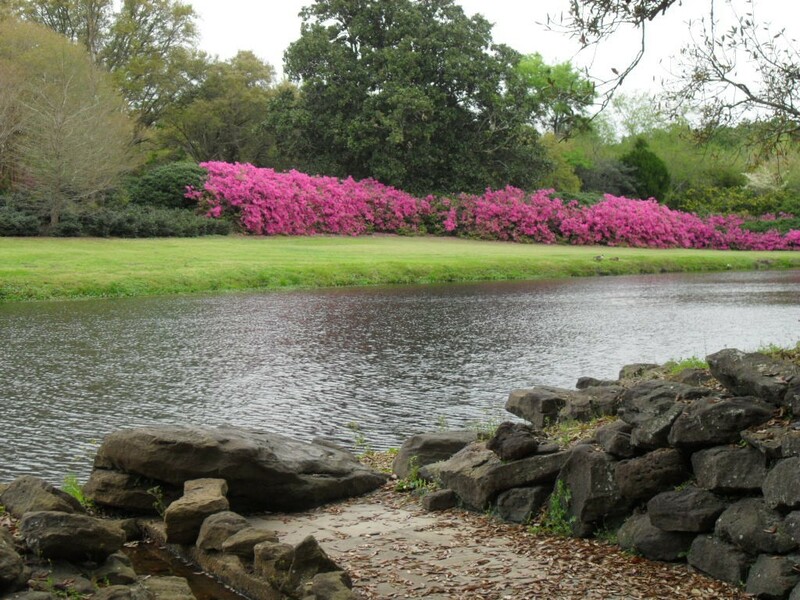 It’s been drawing visitors ever since, and this Gulf Coast icon is a popular place for weddings and other events. 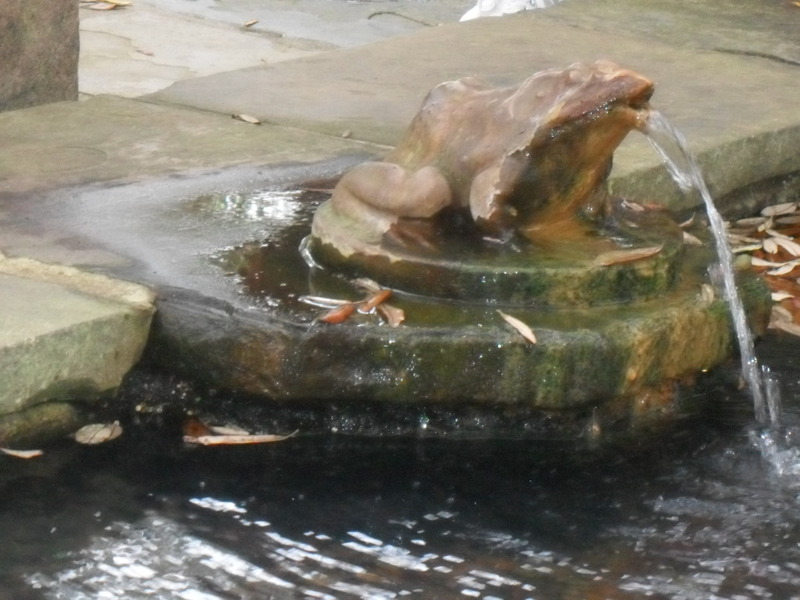 The water looks so cold, doesn’t it? 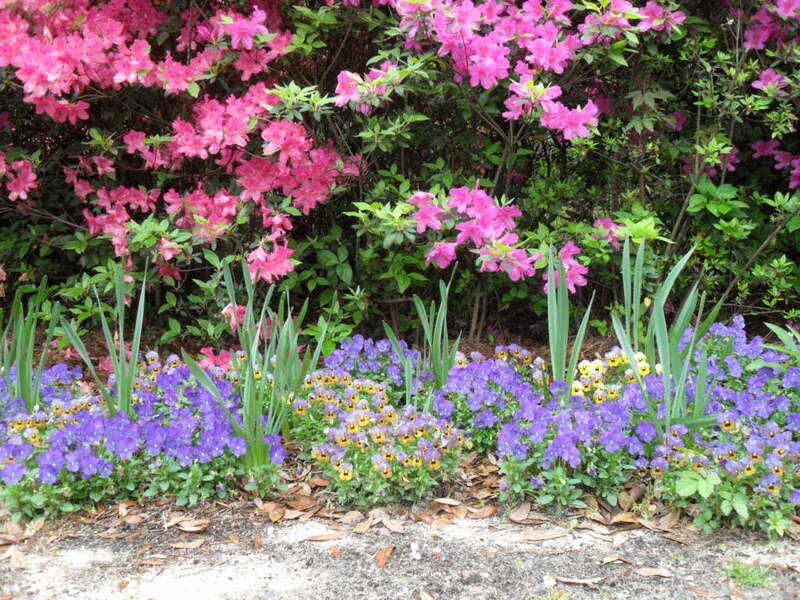 Purple, yellow, and lavender pansies and violas perked up this woodland scene. 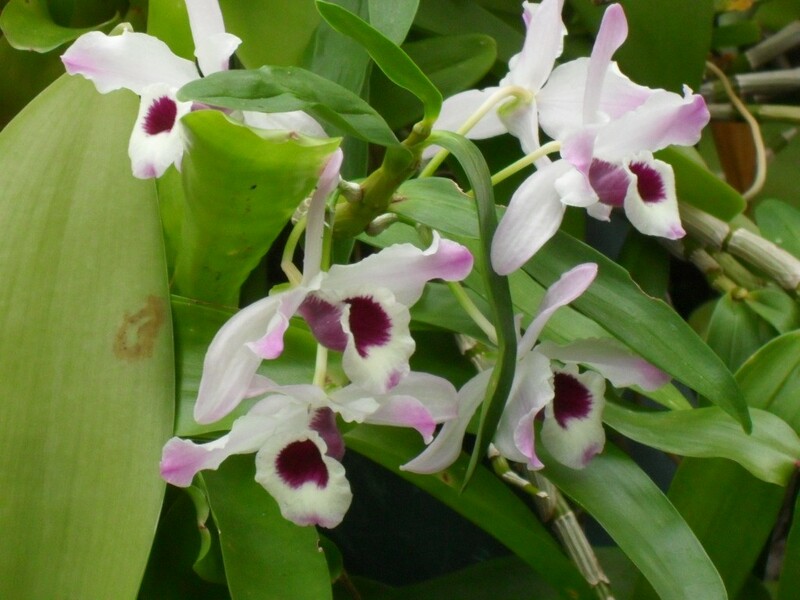 Stunning orchids were blooming inside a Bellingrath greenhouse. 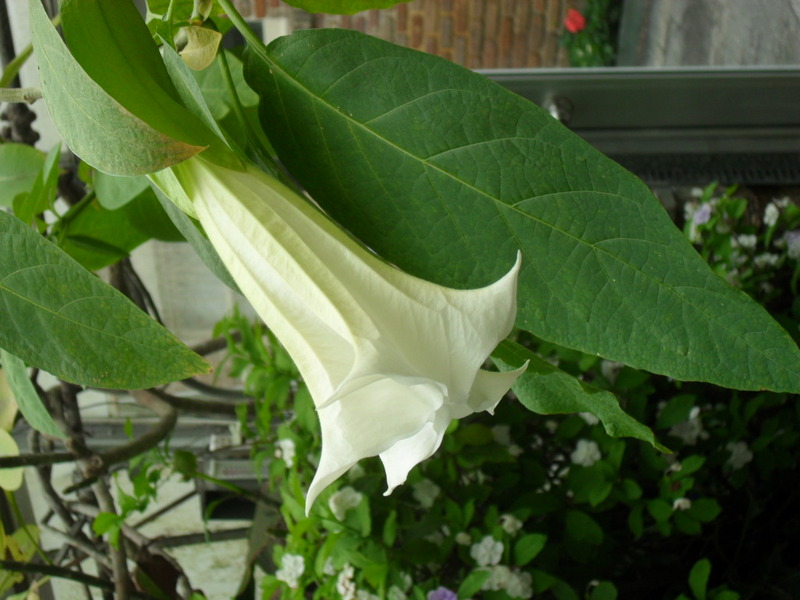 Angel’s trumpets perfumed the air that day. I was on a group tour, but I wish I’d had time to just sit and enjoy this beautiful, peaceful scene. Sigh….pictures like these will have to do for a little while longer, but spring isn’t far away. 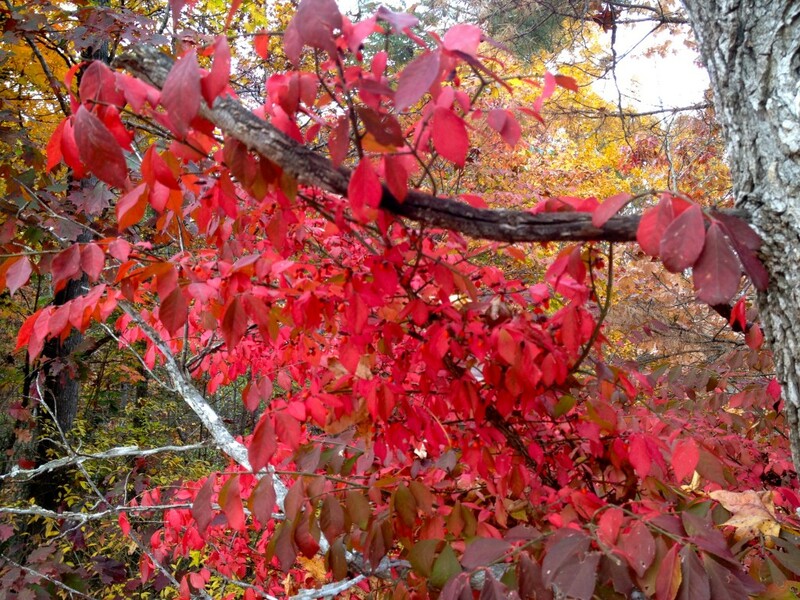 No need for many words today, when the trees are turning such brilliant fall colors. Don’t rake your leaves and burn them–that’s such a waste. 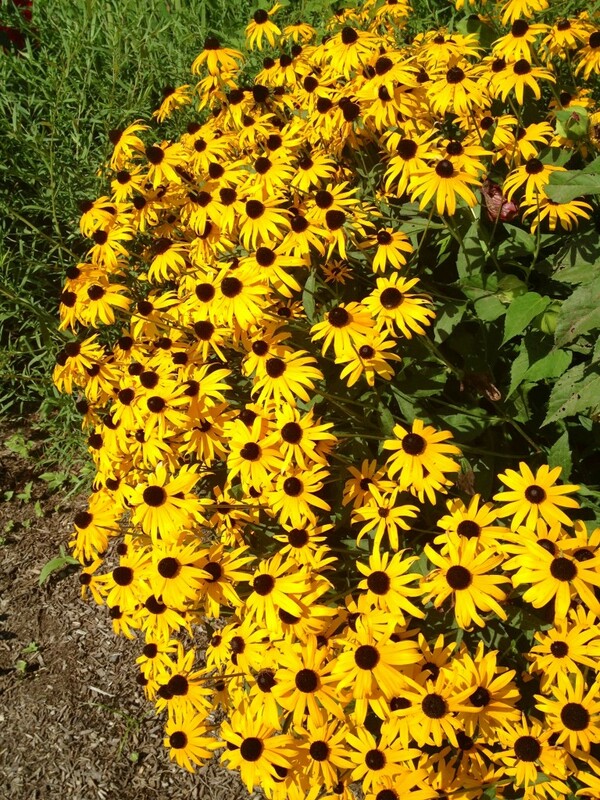 Pile them in an out-of-the way spot and turn them occasionally to help them decompose. They’ll make good mulch later. Or save a handful and dip them in melted wax. String them with a needle and invisible thread, and hang them in a window to enjoy. 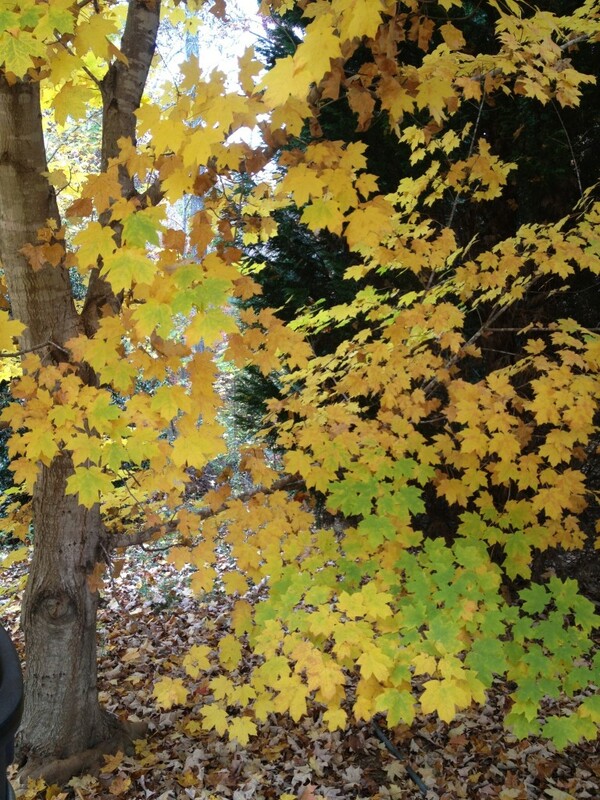 Your leaves will last for many weeks! I just got back from Burpee Fest 2015–and it was awesome. I was invited as part of a group of garden writers, photographers, and chefs who toured Burpee’s historic Fordhook Farm, in Doyleston, PA.
One of the highlights of the visit was getting to sample Burpee’s fresh fruits and veggies. George Ball, Burpee’s owner and CEO, told us about a new eggplant, ‘Meatball,’ that’s coming out in 2016. (You heard it here first–it’s not even on their website yet.) He says it’s going to revolutionize the way we eat, because it’s a delicious, nutritious substitute for meats. After the tour, we sat down to a lunch prepared with foods harvested from the farm. Take a look at my plate, below, and you’ll see ‘Meatball’ made into a meatloaf/meatball dish topped with marinara sauce. I will definitely make this at home, once I get my hands on the seeds. The other delish foods on my plate were fresh from Burpee’s organic gardens, too. 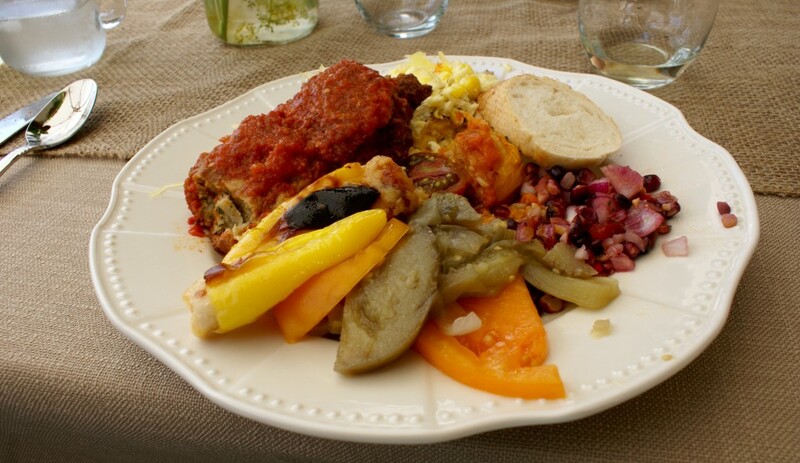 You’ll see stuffed yellow peppers, sliced orange tomatoes, and a tasty relish made with purple onions. Later, we snacked on slices of cold watermelon, cantaloupe, and the biggest, sweetest blackberries I’ve ever eaten. 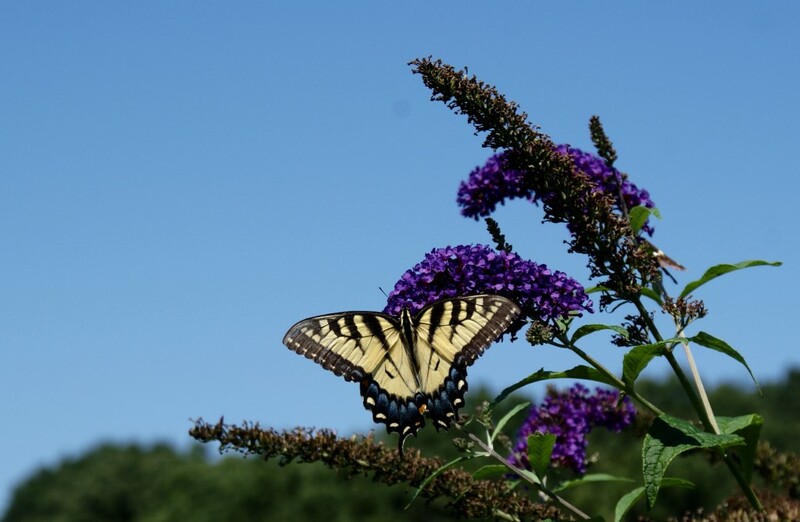 And of course, a butterfly garden needs butterfly bushes. Moving along to the kitchen garden at Fordhook, here’s a sneak-peek of a new tomato that Burpee hasn’t named yet. Watch for it in 2016, too. 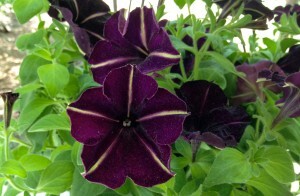 Don’t forget to order your seeds for next spring early, as soon as seed catalogs start arriving in the mail. 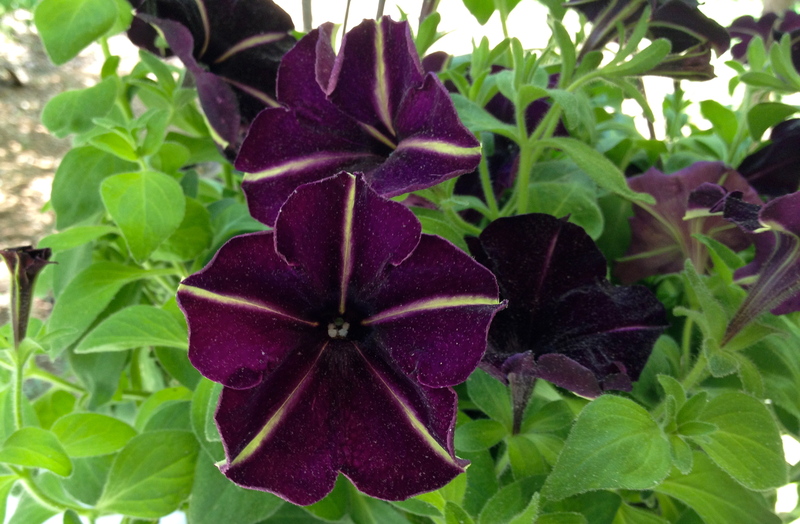 Popular varieties sell out fast! Don’t you love a reunion? It’s a chance to see old friends, catch up on what everyone’s been doing, and share great food and and stories. 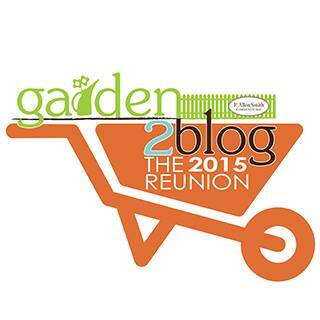 I’m excited that I’ve been invited to P. Allen Smith’s upcoming Garden 2 Blog event, a reunion of garden bloggers from around the country. Each year, Allen hosts this get-together at his beautiful home in Little Rock, Arkansas. Sponsors like Bonnie Plants and Jobe’s Organics will be there, leading workshops on new plants and garden products. 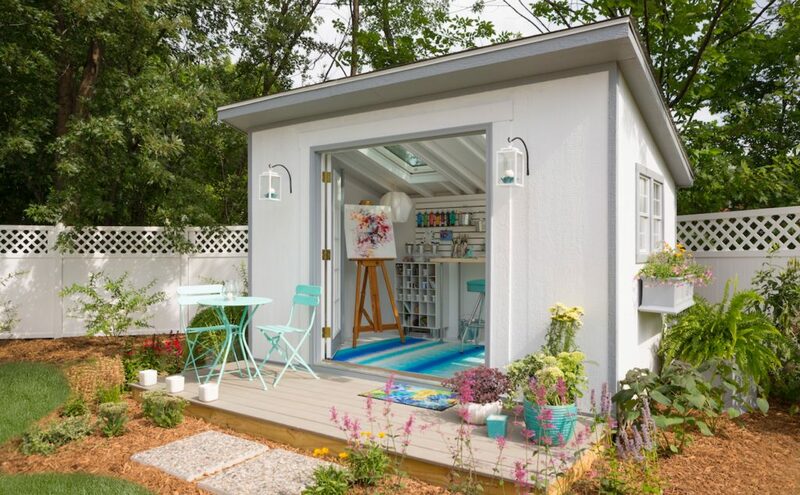 When we get home, we’ll share what we’ve learned, because that’s what garden bloggers do: we lean over the back fence—although it’s a “virtual fence” these days–and tell our friends how to banish Japanese beetles, harvest bigger, tastier tomatoes and train wayward roses on trellises. 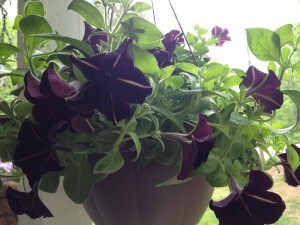 In the meantime, please check out my gardening articles on HGTVGardens.com, where I’m a regular contributor. 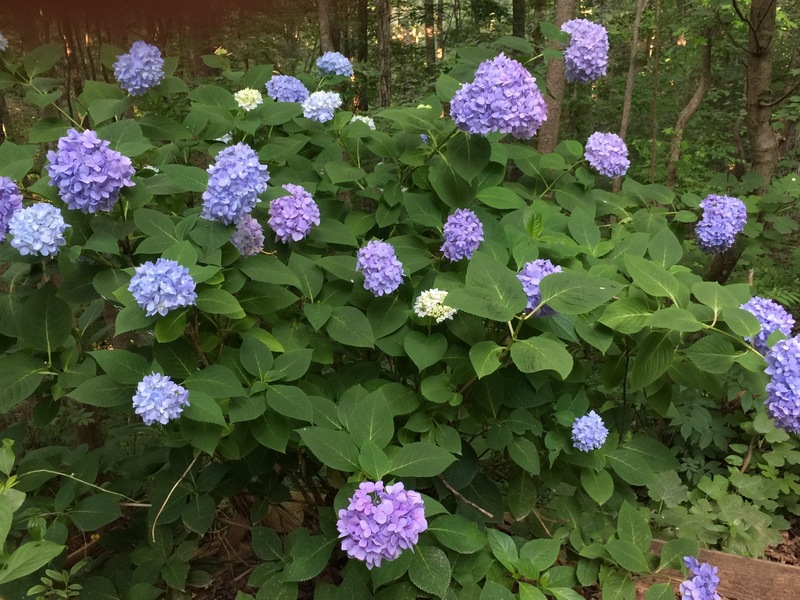 Love hydrangeas? 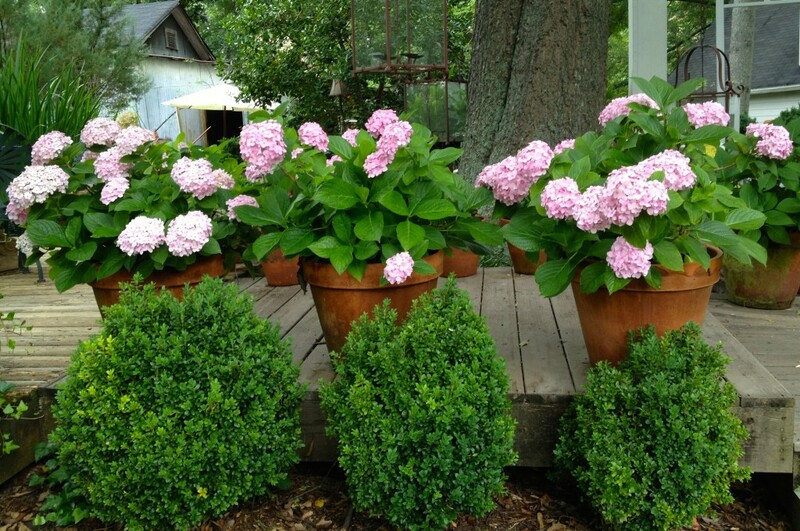 Find the perfect plants to grow here. 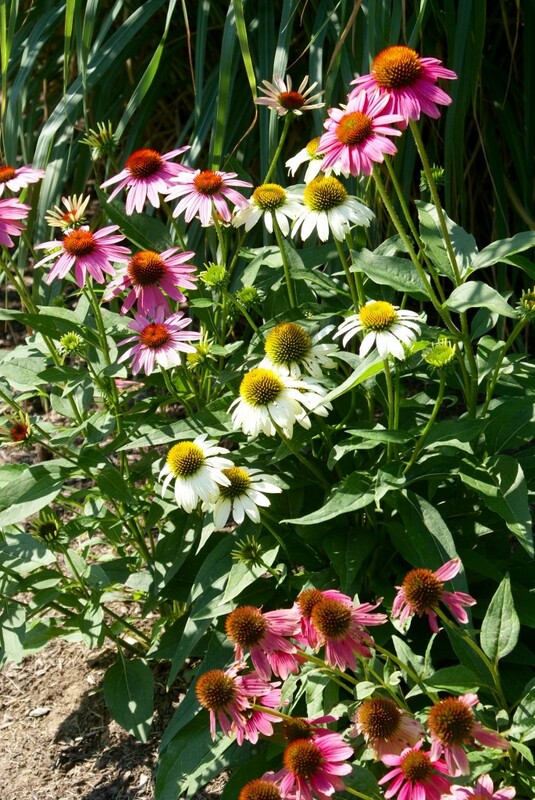 Need easy-to-grow flowers for a summer garden? 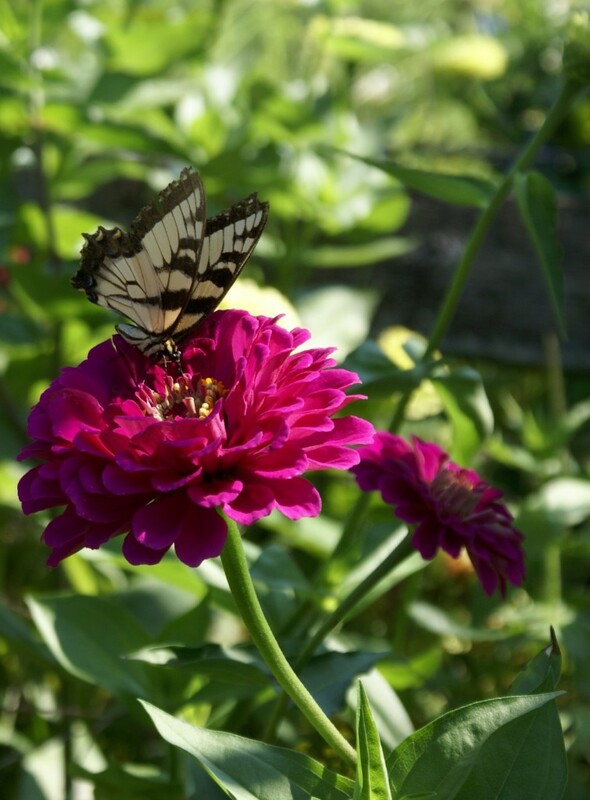 Zinnias like these attract butterflies. Click here for more info. 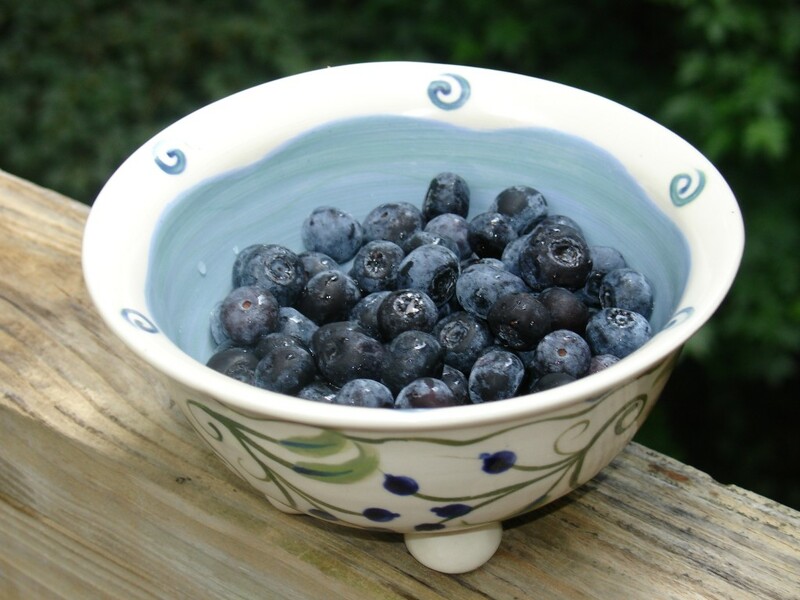 You can grow blueberries even if you don’t have much space; plant dwarf varieties. How’d like to pay off your mortgage by selling tomatoes? “Radiator Charlie,” a West Virginia radiator repairman, did it. During the Great Depression, he developed a delicious tomato that he dubbed the ‘Mortgage Lifter,’ because he sold enough plant starts–at $1 each–to pay off the $6,000 mortgage on his farm. Not many of us can settle our debts like that anymore, but we can still grow Charlie’s tomato. 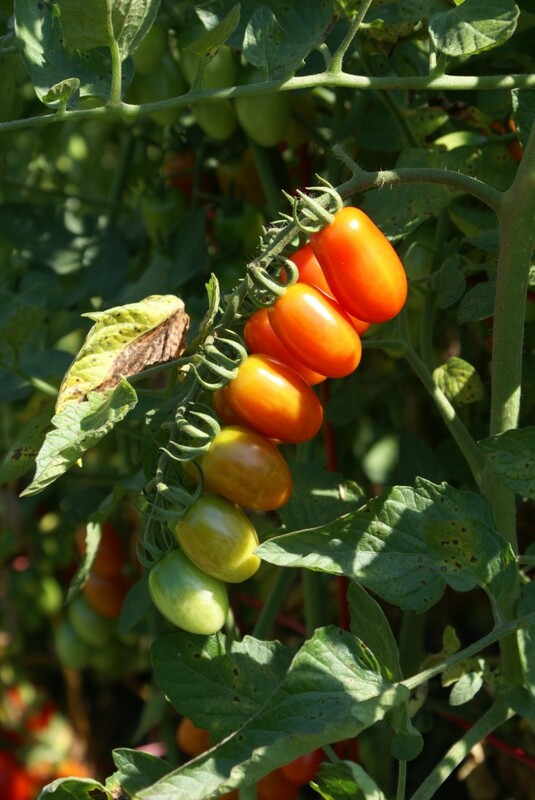 It’s now considered an heirloom, and like most old-timey vegetables and fruits, it’s packed with great flavor and has lots of desirable growing characteristics, like the ability to resist many pests and diseases. Planet Natural has a great video about the charms of heirlooms that you can view here. And thanks, PN, for recommending my book, Gardening with Heirloom Seeds, in an online article about these plants. 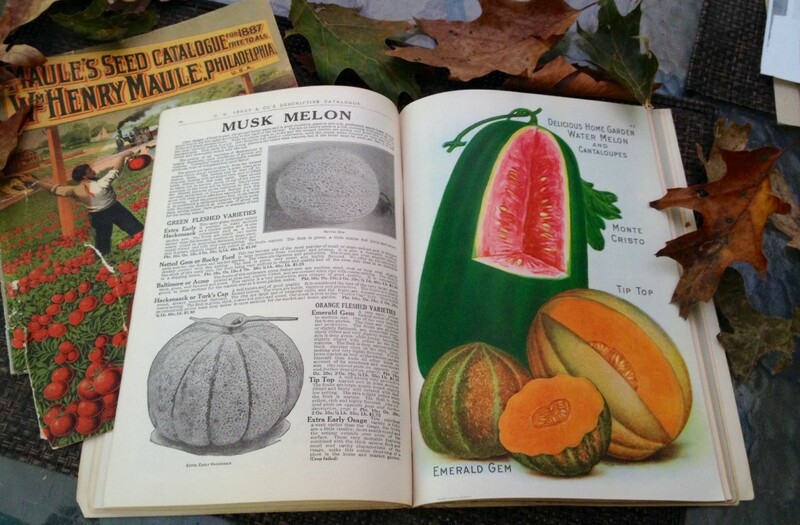 Ready to try some heirloom seeds? Click on for Planet Natural’s catalog.